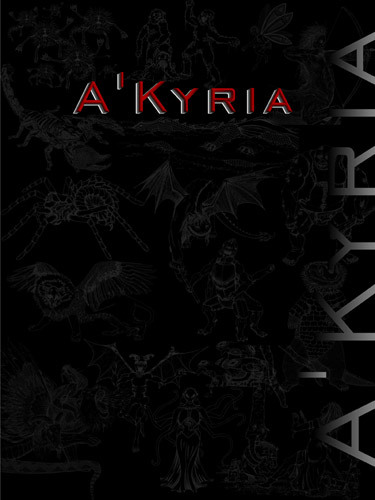 The Ogre Battle Pod is an individual digital creature tool for generating encounters for the A’Kyria tabletop RPG system, developed to assist you in creating your own adventures. This is a large lumbering creature that has a mean and nasty temperament despite its dumb and bemused expression. 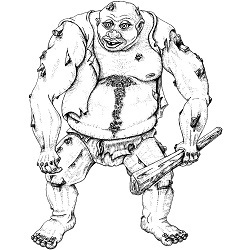 Legend has it that Ogre’s were never truly born, but rather created from stone by a half-mad wizard. Their appearance may have something to do with the story. As they mature, rock-like protuberances begin to protrude through their skin. You can tell how mature an ogre is by the number of ‘rocks’ that cover their body. Ogres are patient hunters and are known to sit long enough for moss to grow on them while waiting for prey to pass.